3 Idiots font here refers to the font used in the poster of 3 Idiots, which is a 2009 Indian comedy drama movie based on the novel Five Point Someone by Chetan Bhagat. The movie title in the poster is set in Lipstick designed by Patrick Griffin. The typeface was inspired from a note written with a lipstick. In addition to the Lipstick regular, the font family also includes an extra font that contains a bunch of lipstick kisses, hearts etc. The font is a commercial one and you can view more details about it here. The Lipstick font identified above is not available for free, please follow the link above and purchase the font. Meanwhile, you can take a look at our collection of fonts for cars, pop music and apparel as well as round-ups of new & fresh fonts around the web. 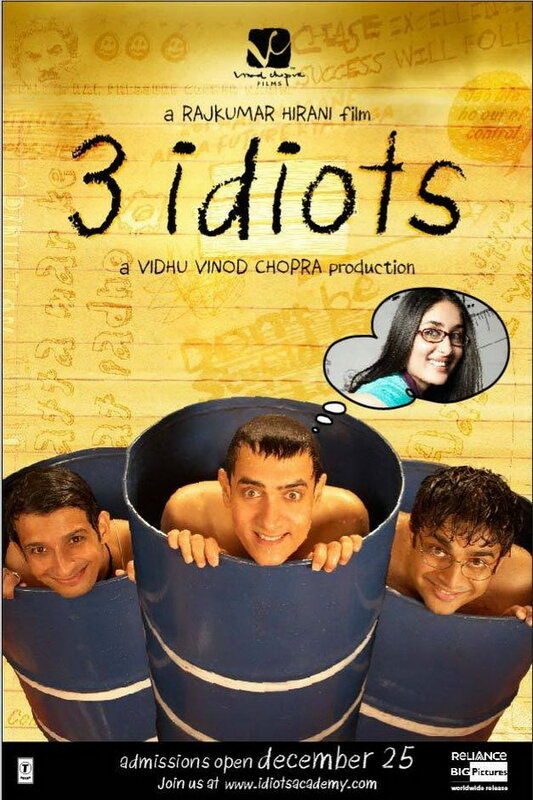 In addition to 3 Idiots, It seems we can’t find other examples (logos, movie posters, album covers etc.) of Lipstick typeface in use.